Martin Miller had a loving relation with Gin. For him, it was and will always be the most seductive of drinks. He described it as “history, romance and adventure in a glass”. “When creating my own Gin, I wanted to live that love, to possess the aroma of oriental flowers in the shadows, the fragrance of the orange trees in a warm Sevillian night and the refreshing whisper of the winter wind in a birch forest,” said Martin. Martin Miller and his two friends, appalled by the lack of quality gin and wanting to encourage a younger group of consumers into the gin fold, set off on a quest for the best gin possible, sparing no expense. To achieve this juniper needed to be tamed, without compromising the traditional character of gin. In 1999, Martin Miller’s gin became the first modern-day high-quality gin brand, thus setting off the gin renaissance. Martin Miller’s Gin is made according to traditional style “London Dry Gin” but at the same time, incorporates its own pioneering distillation methods. Martin’s break from tradition is manifested in two separate distillations, for Juniper and botanical herbal elements, which are then mixed with a second distillation that is performed separately from the citrus elements, orange peel, lime and lemon. Martin Miller’s were the first to distil this way and it is this unique method that provides the freshness of its flavour and its unique clarity. Martin Miller’s Gin is the only gin mixed with water from Iceland – one of the purest waters in the world – and it is key to the exceptional characteristics of this gin. 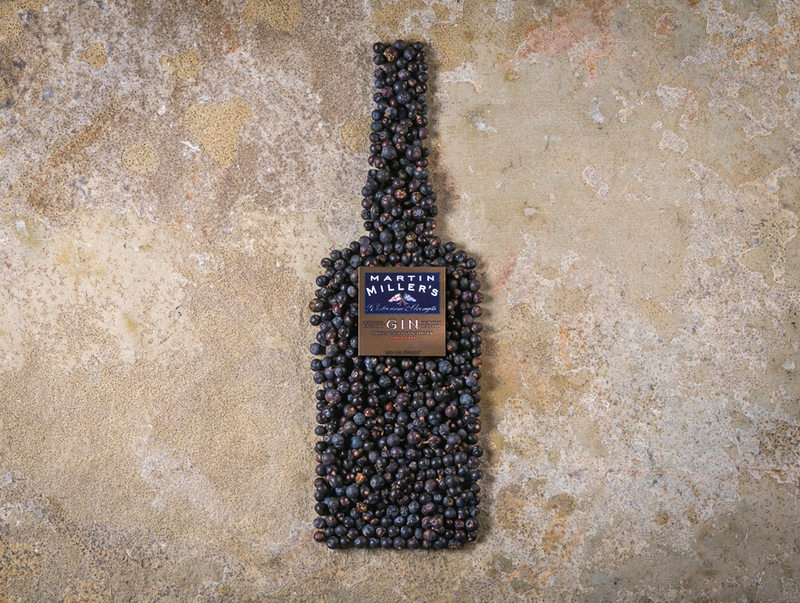 With only 19 years of history, it is one of the most awarded gins in the world. It remains the highest scoring Gin by the BTI in the US with 97 points. Click here for a full list of awards. 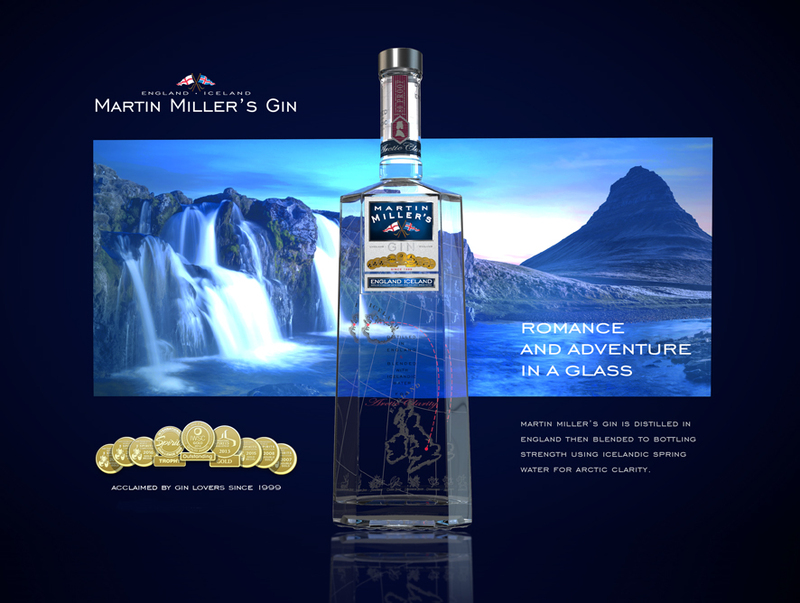 Martin Miller’s Gin – The Original is a premium quality gin. Traditionally distilled using only the finest botanicals and then blended to bottling strength using Icelandic water. It visually stands out for its transparency, clarity and purity. On the nose, it has a mild aroma of lemon skin, garnished with some floral notes. The palate is elegant and with a beautiful citrus flavour. It empathises its dry fruitiness and the subtle touches of juniper and peppercorns. 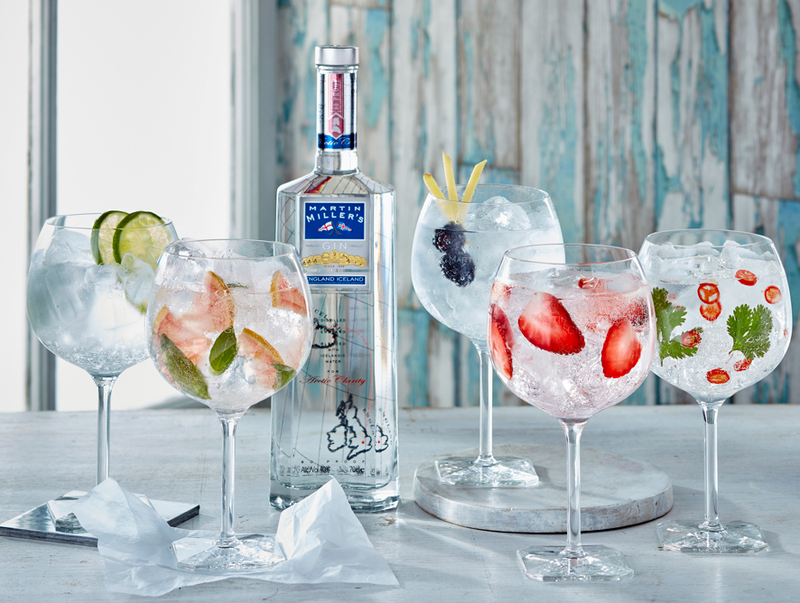 The Martin Miller’s Gin perfect serve is the Perfect Gin & Tonic or for something a little out of the box try the Strawberry & Black Pepper Gin & Tonic. The finish is smooth, long and softly citric, with a delicate aftertaste that allows you to appreciate its delicateness. Martin Miller’s Gin – Westbourne Strength Dry Gin launched in 2003, its named derived from the location of Martin’s home in Westbourne Strength Grove in London where the brand was conceived. It was created as a response to requests by ‘mixologists’ for a version of Martin Miller’s Gin that would give a more ‘old school’ authenticity to their classic repertoire of cocktails and help them create more complex, fully flavoured cocktail creations. Distilled in England, Martin Miller’s Westbourne Strength is handcrafted in small batches. Like all Martin Miller’s gins, only the classic palette of botanicals is used – such as – juniper, angelica, orris root, nutmeg and cassia. It is the peppery notes of cassia and nutmeg along with a higher strength that gives Westbourne Strength its spicier taste. Visually, it offers unparalleled transparency, clarity and purity. On the nose, the soft aroma of lemon skin is interspersed with a symphony of floral notes. The palate is more robust, maintaining smoothness and clarity, dominates the juniper for a long time, giving a spicier sensation. The end is very long, soft and gentle, highlighting sweet fruit notes that invite you to discover more. With its long dry finish, this multi-award-winning gin is the ideal component for all the classic cocktails, G & T’s and makes the perfect dry Martini. Serving suggestions include The Negroni or Clover Club.